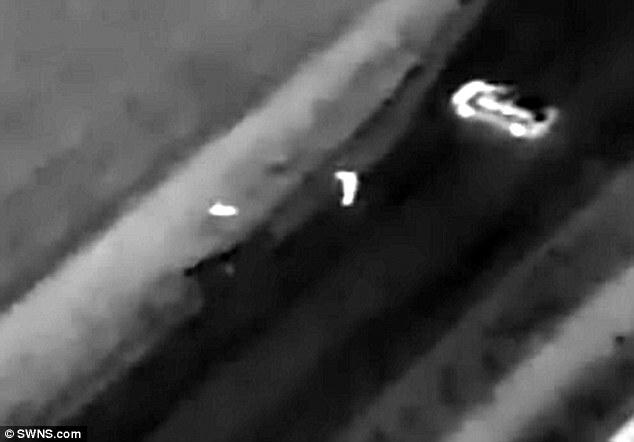 This is the dramatic moment a police drone finds the unconscious victim of a car crash freezing to death with hypothermia as he lay in a six-foot deep ditch in the pitch black. In the remarkable footage, the drone finds the man due to his body heat as he lies several feet off the main road where he had lost consciousness. The drone was deployed after the man was spotted walking away from an accident on the A16 near Ludborough south of Grimsby, Lincolnshire, where a car had flipped onto its side. Police say the quick response may have saved the man’s life as hypothermia was setting in due to the freezing conditions. Desperate to find the driver of the car, Lincolnshire Police used their drone, equipped with thermal imaging, to search the scene as officers from Humberside Police searched by foot. Within a few minutes the drone managed to find the driver unconscious in a six-foot deep ditch, 160 meters from where the accident had happened. 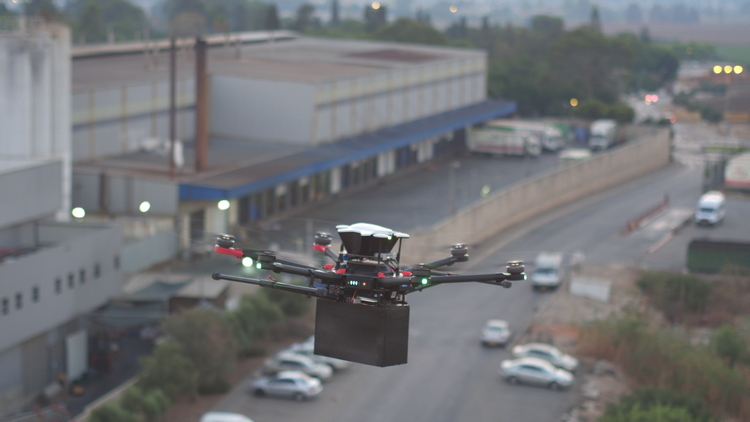 In the footage, a police officer is seen walking towards the man as he is directed by the drone pilot. When he finds him he calls for another officer who is seen running towards them as an ambulance is called. Without the drone, police were faced with searching the road and fields in the pitch black in freezing temperatures, hours before the sun rose just after 2am on February 24. The man was taken to hospital and is thought to be recovering from his ordeal. Lincolnshire police officer @WoldsSgt, known as ‘Tempo’, was one of the first on the scene and tweeted pictures and video of the amazing rescue.